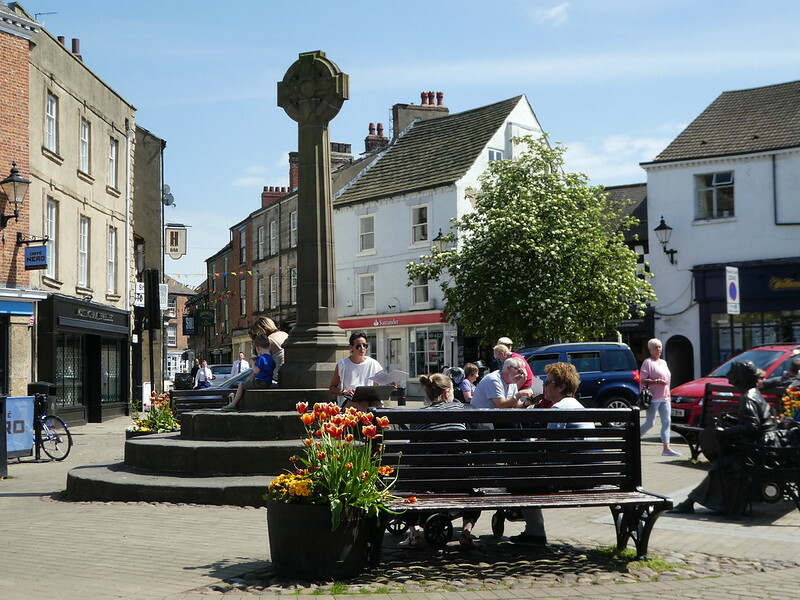 Although we are frequent visitors to the spa town of Harrogate it’s awhile since we visited the attractive North Yorkshire market town of Knaresborough yet it’s only 4 miles from there. We had come to visit Mother Shipton’s Cave, England’s oldest paying visitor attraction which has been open to the public since 1630. Admission is £7 with an additional £2 parking fee but this seemed quite reasonable as it meant we could leave the car there all day whilst exploring the town’s other attractions. Having parked our car in a shady spot beside the River Nidd we strolled along the well maintained woodland path that winds it’s way beside the river, breathing in the fragrant aroma of wild garlic. Several of the trees along here were planted in 1739 and are remnants of the Royal Forest of Knaresborough. It was a leisurely 15 minute walk to the ancient petrifying well which is believed to be the only one of its kind in England. Arriving at the well, we found a large crinkled sheet of deposited carbonates and sulphates of calcium, sodium and magnesium. Dangling from ropes were an assortment of petrified objects including kettles, shoes, hats and teddy bears. All these objects have the mineral rich water from the limestone caverns of the Nidd Valley above trickling down on them. The water calcifies them rapidly with a teddy bear taking between 3-5 months to be turned to stone. At the time of Mother Shipton’s birth, locals believed the well to be magical and never ventured near it as they had seen twigs, leaves and birds turned to stone in the well’s falling waters and feared it would happen to them as well. 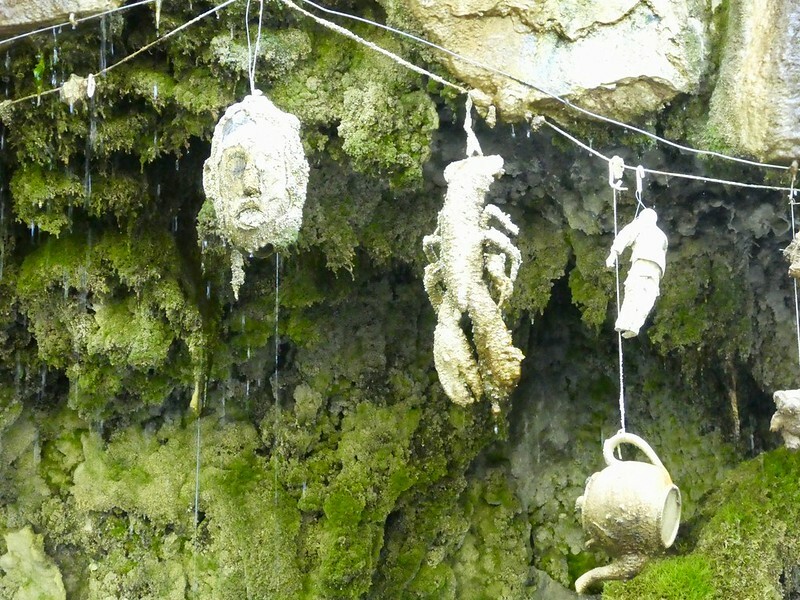 Behind the petrifying well is a perilously low ceilinged small wishing well. It is an old tradition to make a wish by placing your hand flat in the water and then allow it to dry naturally. Many visitors have reported that their wishes have come true and some have returned to make another one. 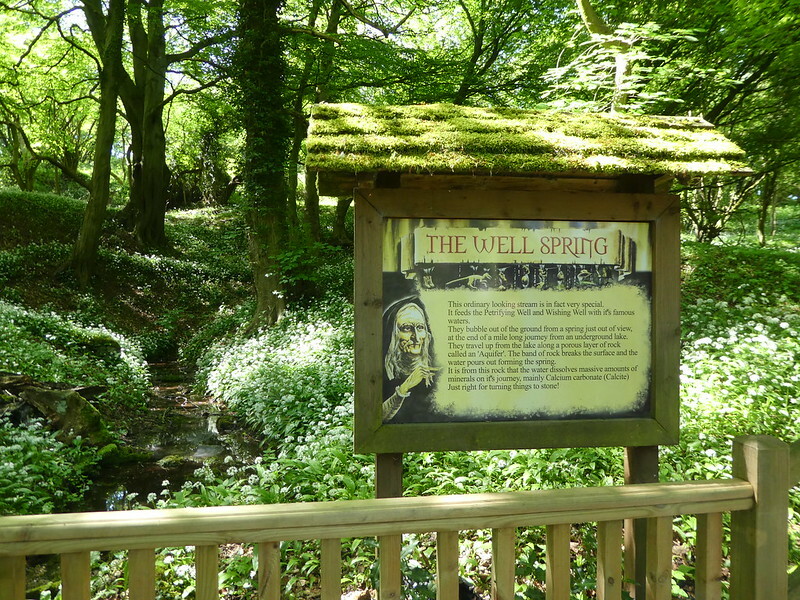 To the right of the dripping well is the cave of Mother Shipton herself, Ursula Southeil, a Tudor prophetess who predicted the Great Fire of London, the Dissolution of the Monasteries and for 1881 to bring about the end of the world. A small museum at the far end of the site features calcified artefacts some of which have been donated by celebrities as diverse as Queen Mary (a shoe), Agatha Christie (a handbag) and John Wayne (a cowboy hat). The exhibition tells the story of Mother Shipton. We learnt that Ursula was born in 1488 during the reign of Henry V111. Legend has it that she was born during a violent thunderstorm in a cave on the banks of the River Nidd. Her mother Agatha was just 15 when she gave birth and with no family or friends to support her, Ursula was raised in a cave for the first two years, growing up with a large crooked nose, a bent back and twisted legs giving her the appearance of a witch. She spent most of her days around the cave studying the flowers and herbs which grew nearby and made potions and remedies from them. At 24 she met a carpenter called Tobias Shipton and although he died a few years later she kept his name. 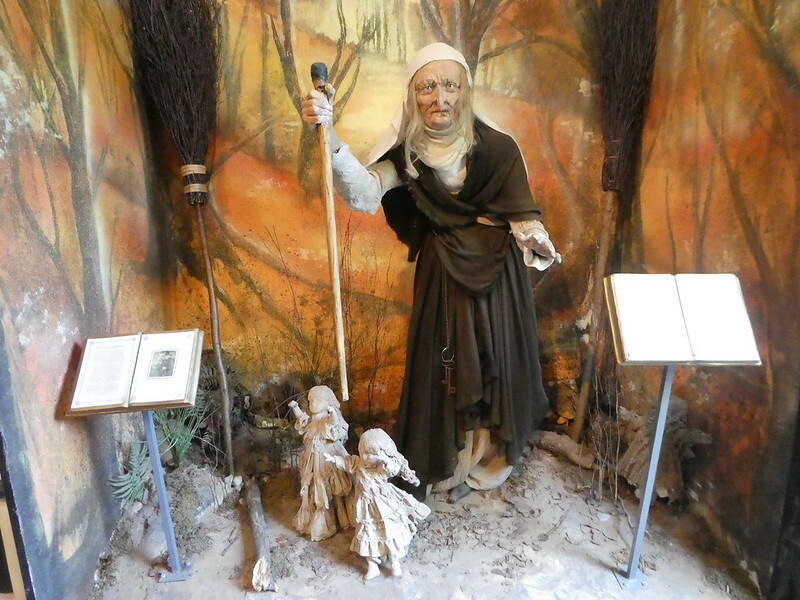 As well as making potions, Mother Shipton had a gift of predicting the future and soon became well known as the Knaresborough prophetess, a witch making a living making premonitions. Although it is unclear how much of this legend is true, it is certain that a woman called Mistress Shipton lived in Knaresborough 500 years ago and people believed her predictions. Leaving the mystique of Mother Shipton behind, it was a picturesque stroll back along the opposite bank beside the boat hire quay and the towering four arch railway viaduct. This iconic structure stands nearly 80ft above the river and dates from the 1850’s. Along here we found several riverside cafes with people sitting out on the open terraces enjoying the warm sunshine whilst taking in the stunning views. Next, we clambered up a steep lane to explore the town which is perched on the cliff top. There’s an attractive town square on Kirkgate where a thriving market takes place each Wednesday. Many of the shops and banks are located in historic buildings adding to the charm of this small town. One of them was a chemist’s shop that’s reputed to be the oldest in Britain, operating as a pharmacy since 1720. 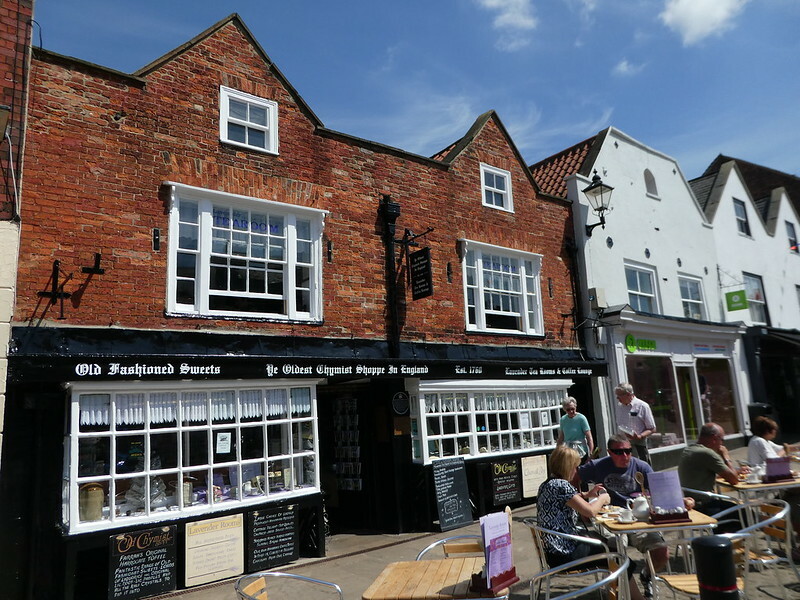 Leading off from the square are a warren of narrow cobbled lanes lined with inviting small shops and cafes, A surprising fact of this small town is that there are 15 pubs spread around though we only managed to sample one of them, enjoying panini and chips on its sunny terrace. Feeling refreshed after our lunch we continued on foot to the Bebra Gardens which were awash with spring colour. 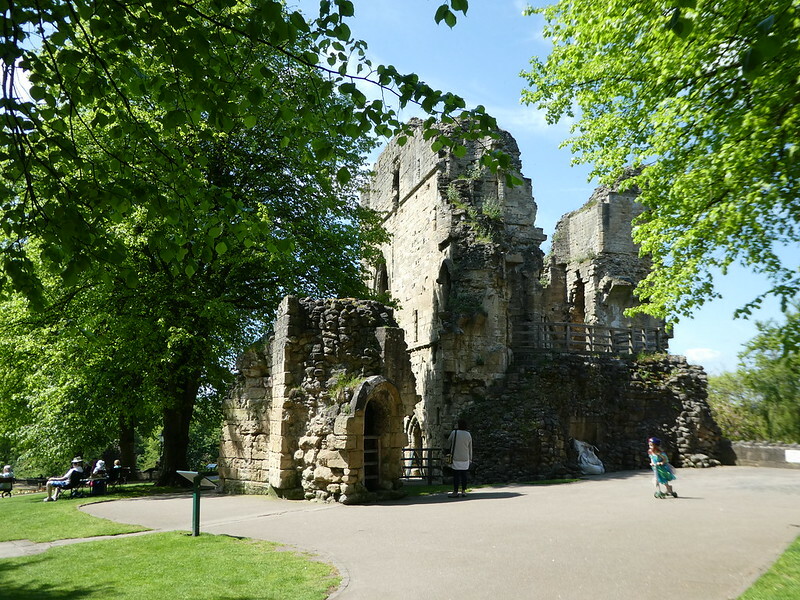 These gardens lead to the remains of Knaresborough Castle which dates back to the 14th century. Looking down from the stone viewing platform must be one of the finest views in the country. 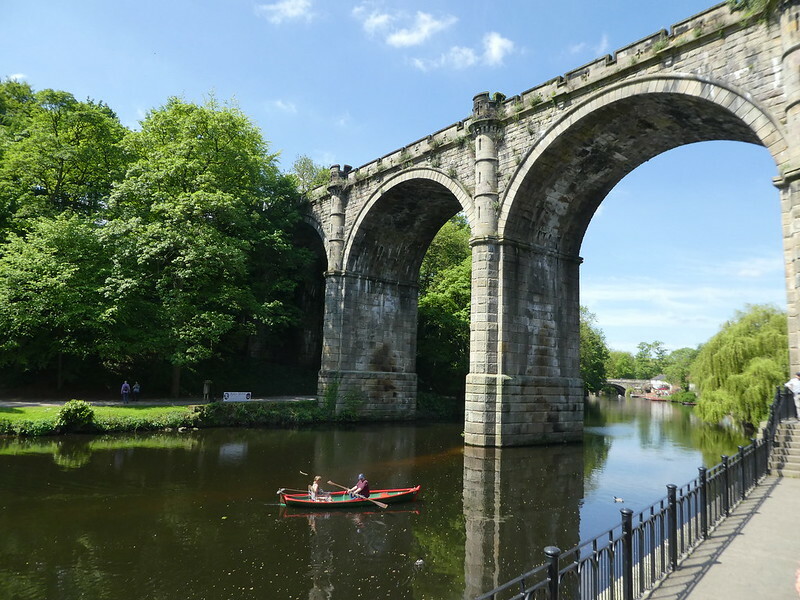 Laid out before us was the stunning Nidd gorge with its landmark viaduct. It’s the gorgeous view one used to find on chocolate box lids and the subject of countless jigsaw puzzles. Carefully making our way down the stone steps back to the riverside we returned to the car passing the aptly named World’s End Inn. I’m sure I’m not the only one who was grateful that Mother Shipton’s prediction of the world coming to an end didn’t happen as there is so much for us to enjoy on our planet! I would like to thank Mother Shipton’s Cave for kindly inviting me to visit their attraction and, as always all opinions are my own. Thank you, it really is fascinating. I enjoy your posts! Wish I lived in a place like England, where around every corner there’s an interesting, historic and picturesque place to explore! Thanks for visiting my blog too. Thank you Joan for your kind words, it’s so nice to read you are enjoying my blog. That was interesting! Thanks for sharing! Whoa it looks so amazing! Thanks Daniela, it is an intriguing place. Thank you for your thoughts in this post. I agree that Knaresborough is a very attractive small town and a lovely place to spend a few hours. Thank you for your nice comments about my post on Mother Shipton. What an interesting place! I wish that I could go back to the UK (I was there in 1972) and stay for awhile. 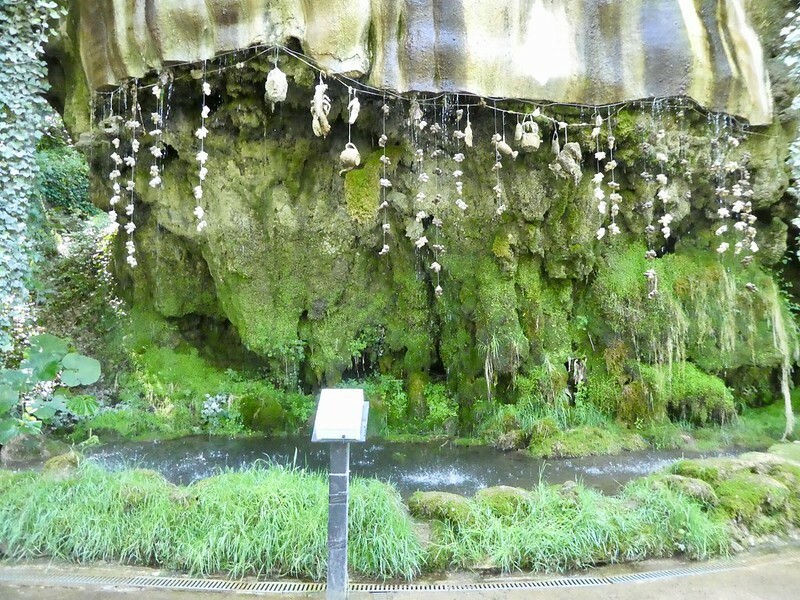 Mother Shipton’s Cave is very interesting and Knaresborough is a pretty little town. I’m pleased to read you are enjoying my posts and they bring back some memories of your stay in the UK. Thank you for your inspiring thoughts. It’s so nice to hear from you. You are right Marion that is an incredible view and you have taken a wonderful photo. 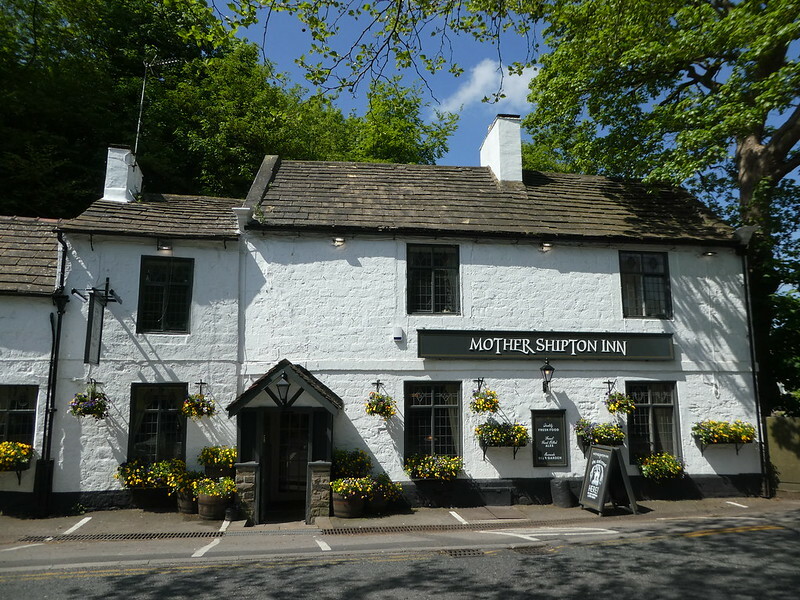 This would definitely be a place I would love to visit – love the history of Mother Shipton. I so enjoy reading about your travels. I always wait until I have proper time to sit and read as I love your posts. Marion I will def put it in my agenda. I have never travelled outside India and it’s because of this, I wanted to visit many countries. Till recently ,England has never been in my bucket list. But through virtual travel, I got the opportunity to enjoy its beauty and yes, now England will be the first place I would like to visit. And this blog just increased that yearning….Love your blog. Thank you so much for your inspiring thoughts on my blog. I do hope you get an opportunity to visit England before too long! Amazing to read about the stuff like teddy bears hanging there and turning to stone. I agree it is strange to read about teddy bears turning to stone but I’m pleased you enjoyed the post, it’s an intriguing place. You find the most interesting places! Your story reminds me of a fairy tale. Thanks for sharing. Thank you for your lovely comments Sandra, it’s so nice to read that you enjoy reading my posts. This was an intriguing little visit to a place I’ve never heard of. And what gorgeous weather! Lucky? Always appreciate your narratives and photos. Thank you so much for your kind words, they are much appreciated. Knaresborough is absolutely beautiful and the cave is certainly intriguing. As for the weather, northern England is enjoying a fine spell at the moment, fingers crossed it lasts a bit longer! Again so interesting post, the story of Mother Shipton was totally new for me and very fascinating. Thank you for a lovely walk! It’s my pleasure Kristina, thank you for taking the time to read my posts, it’s much appreciated. So many of your posts make me homesick for England, but I do enjoy reliving many memories. Thank you. It’s so nice to hear from you and to read your comments. I’m glad that some of my posts are bringing back happy memories for you. You do make me want to book a return visit to the UK, because I can see that I’ve missed a great deal! The viaducts are gorgeous, as are your pictures. The stories behind the villages and buildings are fascinating. What a lovely looking village to visit. Thanks Leah for your kind words on my Knaresborough post. I do hope that I have inspired you to return to the UK sometime to visit this part of Yorkshire. Oh, we’ll be back to the UK. You never know, I may be in touch for tips! Sounds great Leah, don’t hesitate to contact me! I enjoyed traveling there with you vicariously. Sounds fascinating and quite lovely. Your photos and word pictures are beautiful. 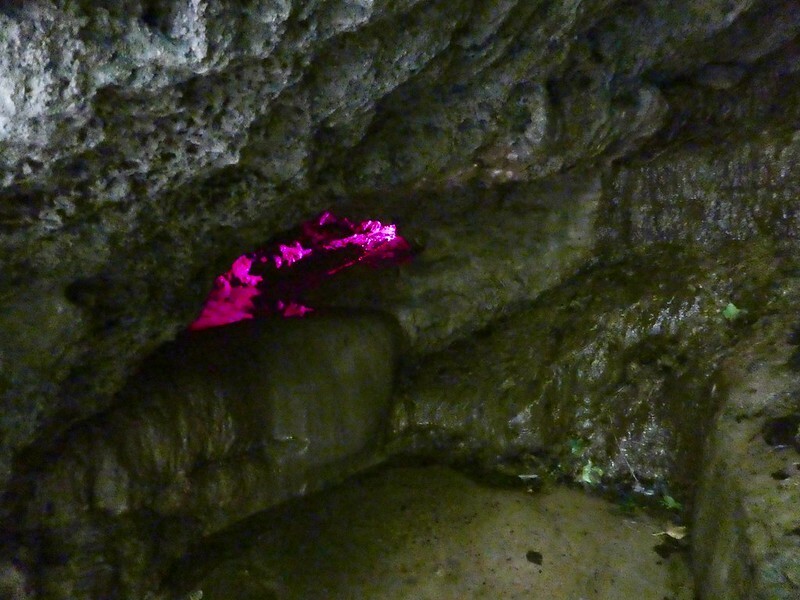 Thank you for your much appreciated comments, I’m so pleased you enjoyed reading this post on Mother Shipton’s Cave. Regarding the pubs. One no longer there sadly is ‘The Yorkshire Lass’ It was situated directly opposite the entrance to the cave. Block of luxury flats now. Oh dear, that’s a shame. I did notice those flats as we walked along. Thanks Kenneth for your welcome thoughts. When the world didn’t end in 1881, they altered the ‘prophesy’ to read ‘The world to an end shall come/in nineteen hundred and ninety-one’ When 1992 came around, they gave up! We were in Knaresborough a couple of years ago, for the Bed Race. ‘I’ve read about the Bed Race through the town but not seen it. 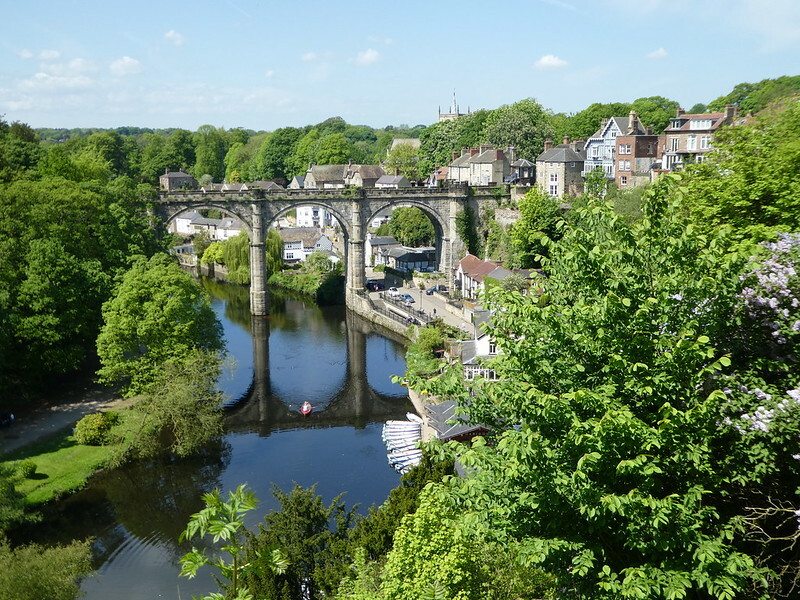 When the sun is shining Knaresborough is a lovely place for a trip out. I visited Knaresborough a couple of years, or more ago for the first time and I never realised until I got back home that day, that I was not far from this place. But then, I discovered it was closed. I think I was in the area when it was closed for the season, but cannot quite remember. 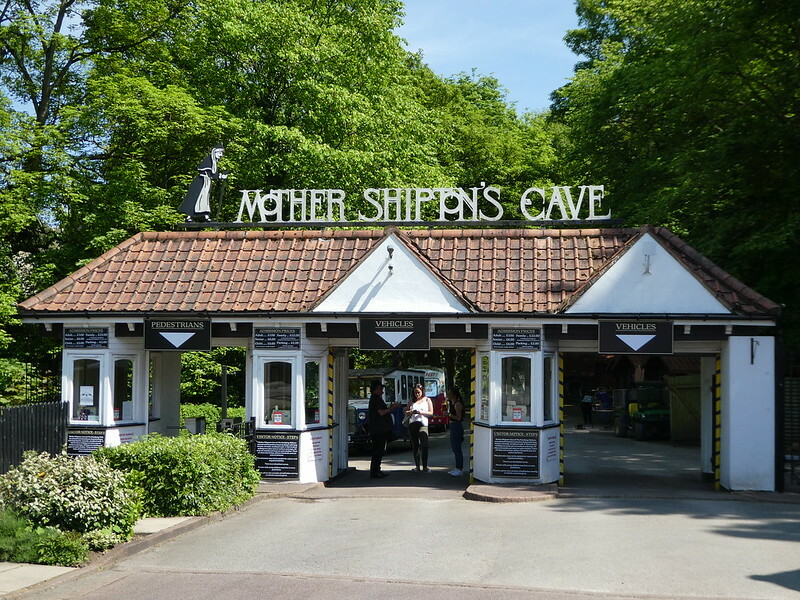 I have only ever seen the Mother Shipton’s Cave on tv when they were at the petrified well. This is certainly on my to do list to see, when I go back and visit. I want to see it for myself. I find it so fascinating. What a pity that the Cave was closed when you visited Knaresborough. Hopefully you will get an opportunity to return soon as it’s very interesting and very scenic along the river. Sounds amazing. I would love to go there some day! Thanks Morgan, the Cave is very interesting especially the Dripping Well and the small town of Knaresborough is delightful too. I didn’t know about Ursula story. The bridge is absolutely gorgeous. The viaduct is gorgeous and the iconic view of this lovely, small town. Thank you for your comments. Lovely pictures. Been ages since I visited Knaresborough, one of Yorkshire’s jewels. Thanks Jill. We seem to visit Harrogate more often but Knaresborough is so beautiful, especially on a sunny day. I did enjoy my visit to Ma Shipton with you, Marion. 🙂 🙂 It was the other half of my intended stroll back in March. It’s a good story, isn’t it? Thank you for your commenting Jo. I remember reading about your visit to Knaresborough. I’m sure you will be able to return sometime to explore the cave. 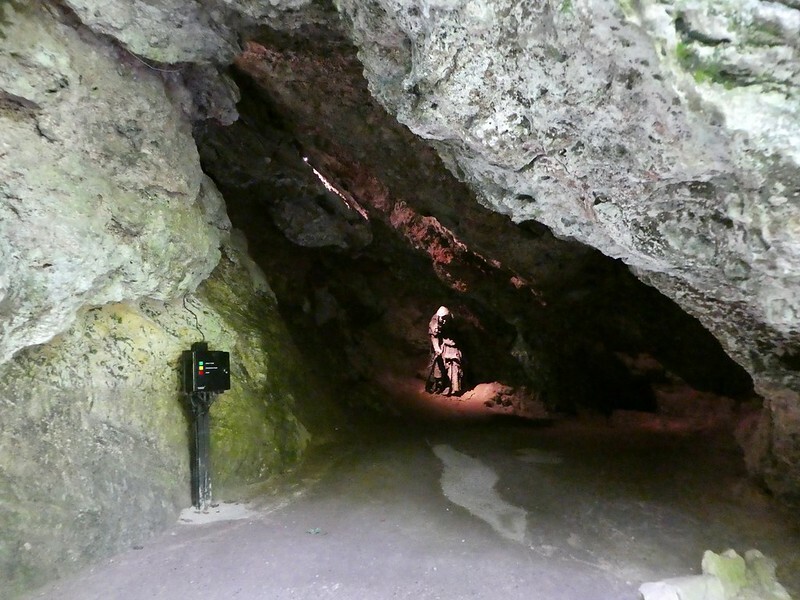 Thank you, Mother Shipton’s Cave is fascinating and the small town of Knaresborough is lovely too. Thanks Misha for your kind words. 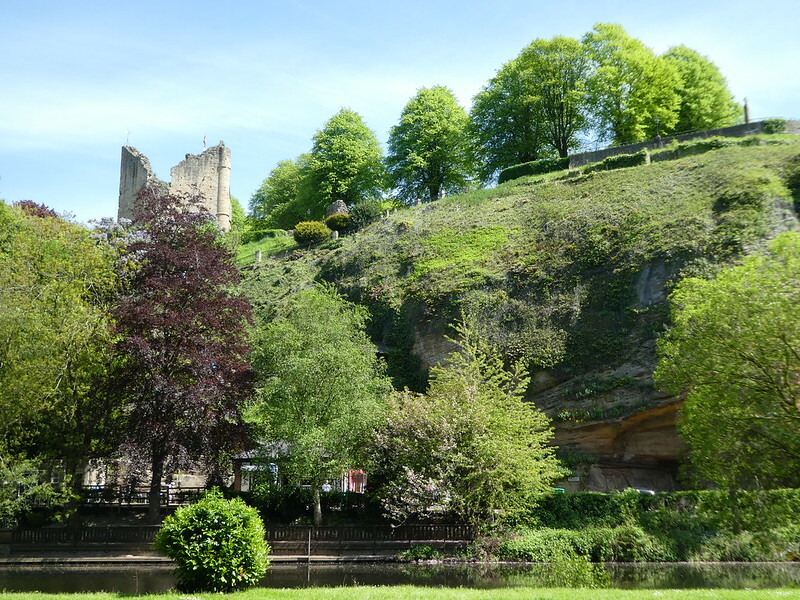 Knaresborough is a delightful small town and Mother Shipton’s Cave is very interesting. You are an amazing storyteller. You make your journeys so interesting. Some of us will never see these places you describe in great detail but you take us there in spirit.